The entire Steven Leach Group understands the importance of adopting a holistic approach to tackling projects. We strive to provide sustainable solutions and partner with companies who truly challenge the way that we impact the world. We have adopted the practice of participating in annual community service projects and play an active role in outreach initiatives to promote positive change. This year, Steven Leach Group’s Kuala Lumpur office (SL+A Sdn Bhd) has collected and donated RM 23,600 for Pertubuhan Kebajikan Mental Selangor (PKMS), a non-profit residence for homeless individuals living with mental disabiliteveies. Historically, Malaysian companies participate in the giving and receiving of hampers to celebrate various cultural events and festivals throughout the year. In line with this tradition, SL+A Sdn Bhd has received festival hampers from vendors and partners on several occasions. Although these hampers are greatly appreciated, they can be seen as wasteful and benefitting those who already have enough. SL+A’s answer to this question was to turn the hampers into cash and direct these funds to charitable local causes. To this end, SL+A Sdn Bhd established their own unique “no gift policy” whereby firms requesting to send hampers are instead asked to match the dollar amount and donate on behalf of SL+A to a nominated cause. Similarly, the funds that would have been allocated towards client hampers are also redirected and likewise donated. 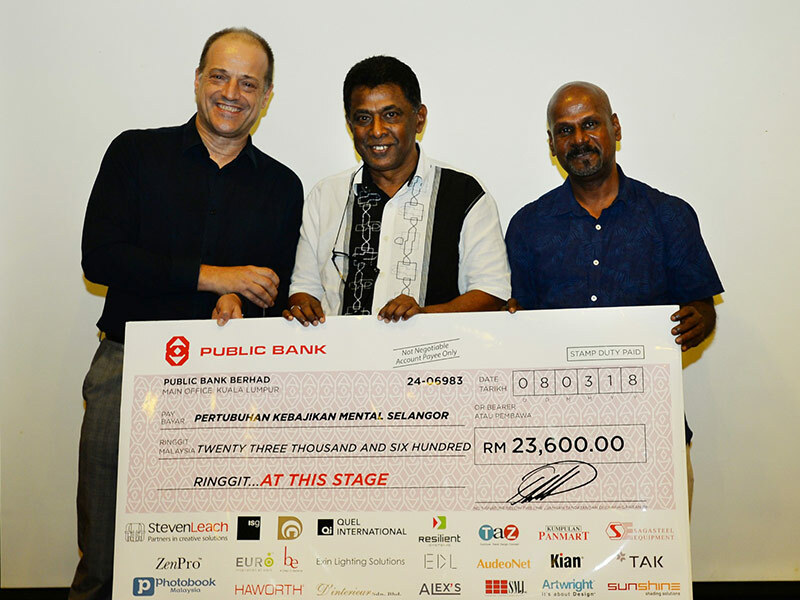 Each year, SL+A Sdn Bhd will move away from giving and receiving festival season hampers and instead provide organizations with resources to continue their work with charitable causes. These CSR initiatives not only generate an outpouring of donations, but also create greater awareness for social causes, resulting in a snowball effect of positive change. The encouragement and feedback from vendors, partners and clients for this charity initiative has been immense and beyond the expectations. Within just a few weeks, SL+A Sdn Bhd collected the total amount of RM 23,600.00 in the first phase for PKMS initiatives. 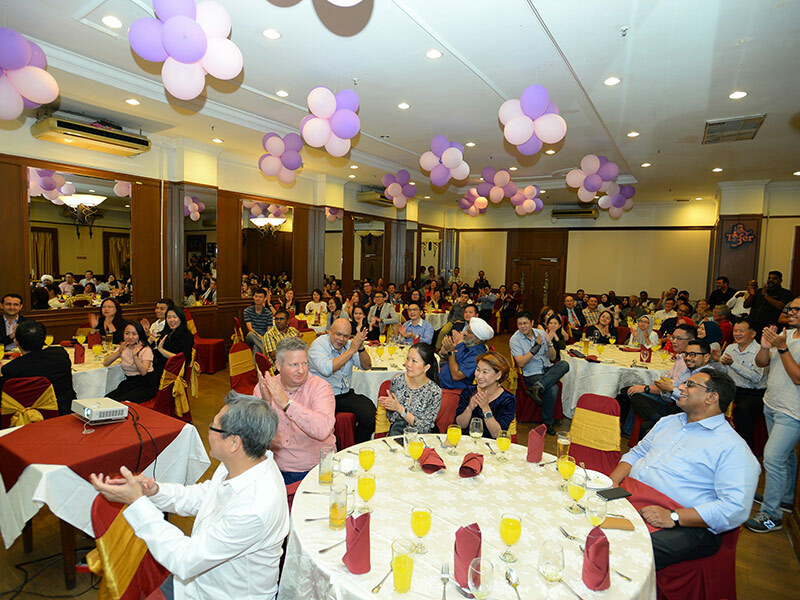 To celebrate this milestone and to show gratitude for the support, a charity event for clients, vendors, and partners was held at the Royal Selangor Club in Kuala Lumpur in March 2018. A large portion of the donation will go directly to maintaining day to day operations, while the remaining funds will go to establishing a long-term approach for PKMS to become self-sufficient and more sustainable. SL+A Sdn Bhd connected the charity organization with Ground Control, a local home and garden store located in Kuala Lumpur. This collaboration provides PKMS with a living and edible garden that can continue to give back to the residents and staff year after year. 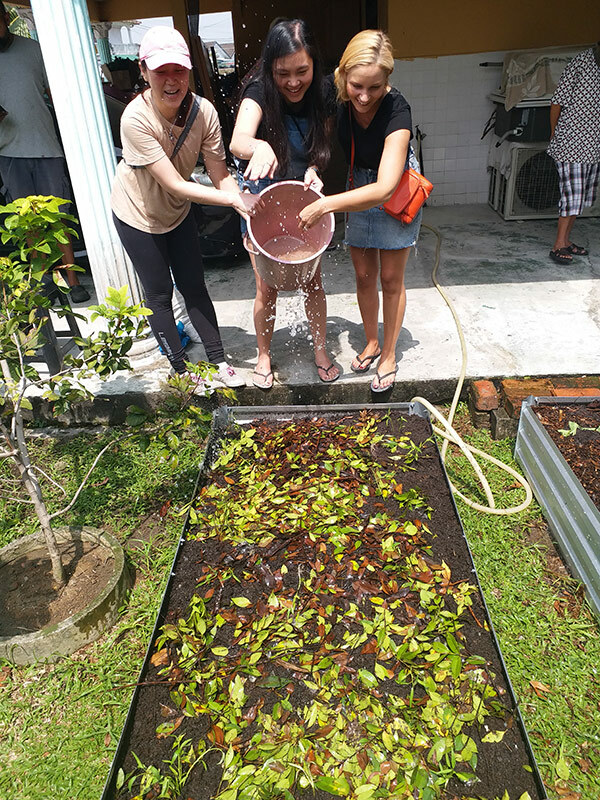 This garden project is an amazing opportunity to help enrich the lives of those living at PKMS, where rotations of tending to the garden will result in physical, mental and emotional benefits while improving the level of nutrition and promote sustainable environmental practices. 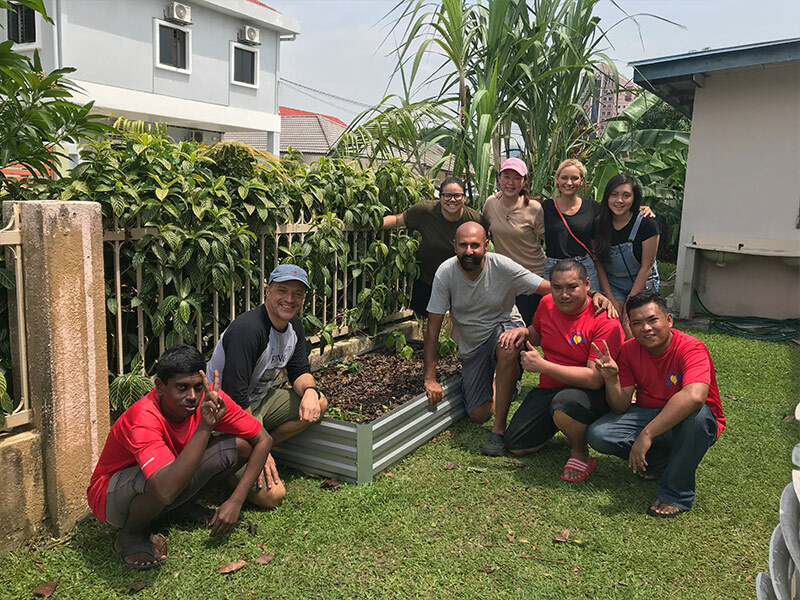 The staff at SL+A Sdn Bhd also teamed up with Ground Control to host an “Education and Giving Day”, dedicating time to set up the edible garden at both PKMS locations. It was a true pleasure seeing how enthused the patients at PKMS were about growing their new edible garden. The purpose of this CSR initiative was to redirect the funds from traditional festival hampers to a worthy cause. We were delighted to be able to spread the festival joy with members of the community who were at high risk. Our own team members and the many friends of SL+A were so touched by the results of our initiative and we are determined to continue with this important work long into the future. To this end, SL+A Sdn Bhd has created a fund called Harvest for Life to support homes and communities in need. We must work together to strengthen the community that we work, live and engage in! Click here to see more photos from the SL+A CSR Charity Event.